Built on a small rocky island in the middle of the sea near Üsküdar, where the Marmara Sea meets the Bosphorus, the Kızkulesi (Maiden's Tower, also called Leander's Tower) has been used for a variety of purposes since its first construction. Dated back to old times, to 2500 years ago, that unique construction have witnessed the all history of Istanbul. 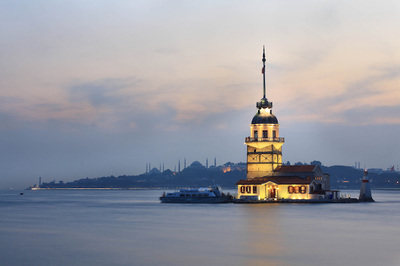 With its past beginning from in Ancient time, to Byzantine Empire from Ancient Greek and to Ottoman period from Byzantine time, in all periods of history of Maiden's Tower have arrived at today from past. 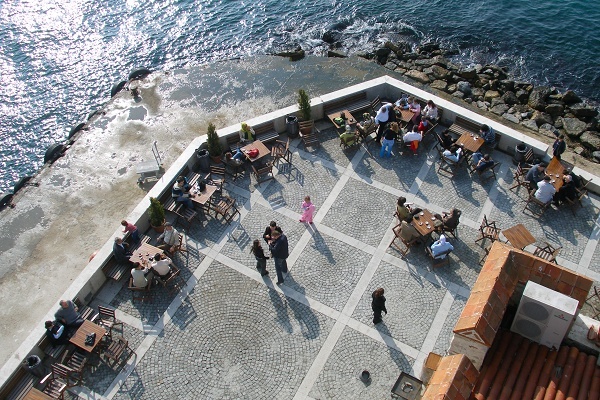 According to Rum researcher Evripid's sayings, at first a mainland connected with the Asia coast seperated and turned into an island ( Maiden's tower is located over it) in time. Firstly it was told about that island in A.D 410. Within that time, Athenian commander Alkibiades built a castle on this island in order to control the navy traffic and to be used as a customs office.After that, in A.D 341 Greek commander Chares built a grave for the sake of his wife on the marble pillars. It is said that it was a kind of the mausoleum designed on the marble pillars for the wife of the commander Chares. But some sources emphasize that the tomb was located in the side of Salacak (a seaside town in Usküdar , Istanbul. Athenian commander Alkibiades turned into a castle here by surrogating with the chains in order to under control the Spartans at the end of the war in between the Athens and Spartans in A.D 411. In A.D 1100's the first critic tower structure was built by Byzantine Emperor Manuel Comnenos (1143-1178)as a defence tower named ''Arcla'' which means little tower. 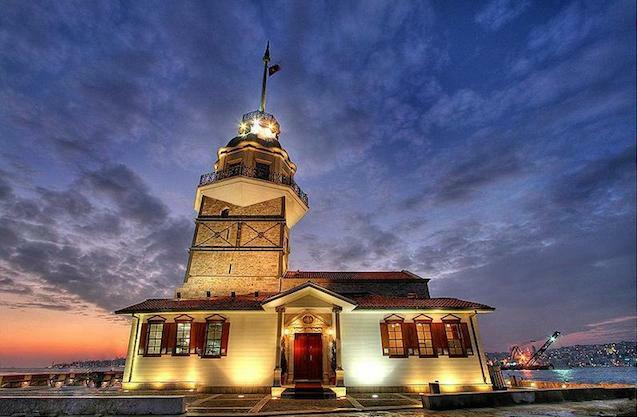 When the epidemic cholera showed itself in Istanbul 1830, Maiden's Tower was used as a ''isolation Hospital'' (a place protecting the healthy people from the sick). It is known that the Athenian commander Alkibiades took the customs money (a tax) by controlling the entrance and the exit of the Bosphrous and surrogating with the chains to the both sides of the Bosphrous. 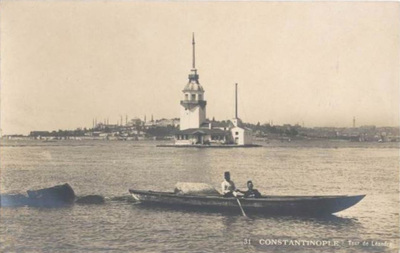 After the Sea Route Stores were demolished in 1990, as a result of that, the cyanide which is a kind of the substance used for the mouse and the other kind of insects was begun to be stored in Maiden's Tower.But then , it was removed because it disturbed the personnels. 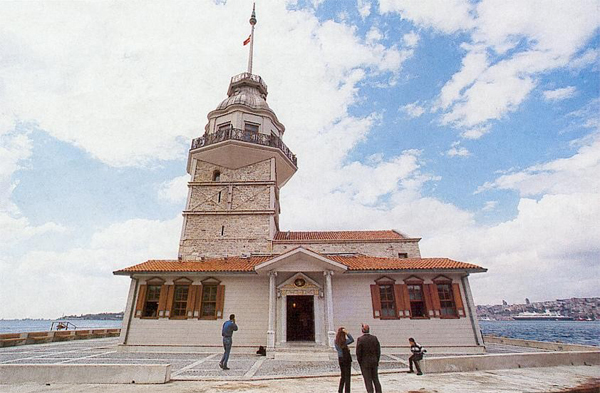 When Fatih Sultan Mehmet (The conqueror) surrogated İstanbul, that tower was used by Byzantines to control the entrance from Marmara Sea. Today from the old times, it has served as a lighthouse. Except for those features ,there is also said many stories, legends, myth or mythos about Maiden's Tower. The story of Battal Gazi is the last story told in Ottoman time;There was a Turkish hero named Battal Gazi fall in love a girl, when he came to suround Istanbul(Constantinopoli). 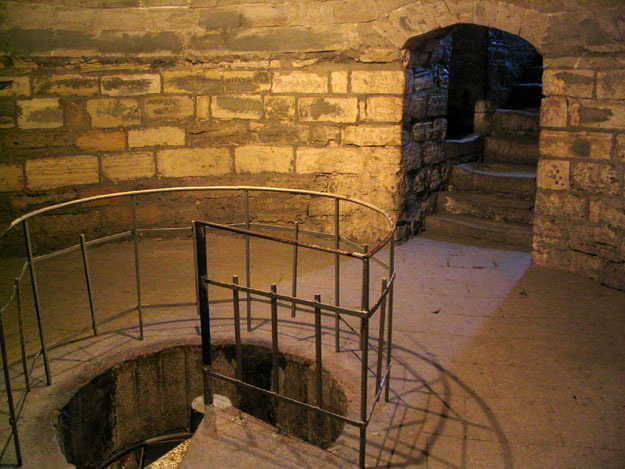 Because he failed surrounding,he made a camp on Maiden's Tower and stayed here seven years. 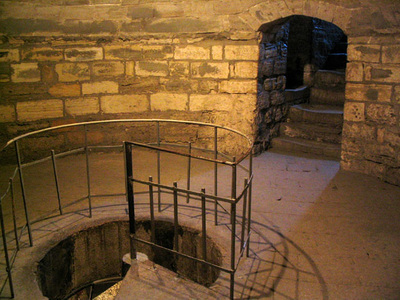 According to that story,the reason of his staying seven years because he fall in love a daughter of the landlord.Therefore, landlord put his daughter in prison, in the tower because he was afraid of Battal Gazi abducting her.At the end of the story,our hero on his horse escaped the girl from the tower and also took the landlord's treasure. After that case there was said an idiom ''early bird catches the worm'' (Atı alan Üsküdarı geçti in Turkish). Leandros falls in love with a nun named Hero who is faithful to Afrodit. However, as a nun, falling in love with someone is taboo for Hero. Hero lives in the Maiden’s Tower. Every night, Hero builds a fire in the tower so that Leandros may find his way to her by swimming to the tower. Thus, they meet every night. One night, however,the bonfire started by Hero is put out by a storm, That very night, Leandros loses his own way in the cold waters of the Bosphorus and dies. When Hero hears of what happened to Leandros, she cannot endure the pain and commits suicide. Once upon a time, a soothsayer makes the prediction to the King that his daughter will die as a result of a snakebite. Thereupon, the King has a castle built in the sea in order to protect his daughter. Time passes and the girl grows up in the castle. However, the prediction made by the soothsayer was inevitably comes true as a snake hiding a fruit basket carried to the princess bites and kills her.